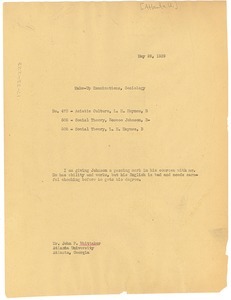 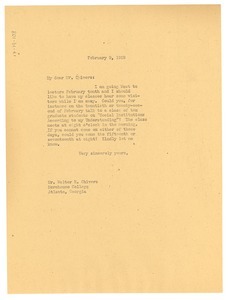 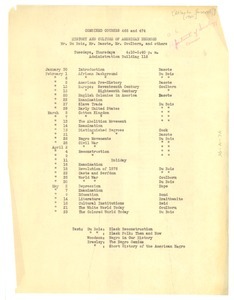 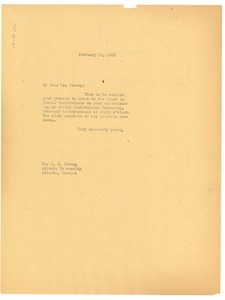 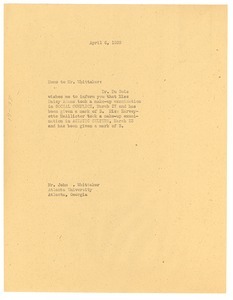 30 results found for: subject:"Sociology"
Atlanta (Ga.) - Ira De A. Reid informs Du Bois that he is going to suggest to the Sociology Department that Miss Ruth Graham and Miss Alberta Callaway continue as work students, and hopes that Miss Diggs will supervise them while he is gone. 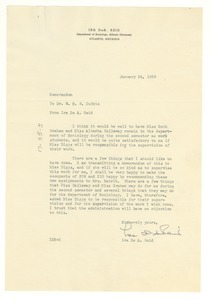 Atlanta (Ga.) - Ira De A. Reid informs Du Bois of departmental issues that will have to be addressed while Reid is away, including the matter of Ruth Graham and Daisy Anita Adams being permitted to take a course at Morris Brown, and the theses of Ruth Graham, Miss Calloway, Harvey E. Johnson, Annie Mae Martin, Mr. Pierro, Mr. Haynes, Roscoe Johnson, Olga Williams, and C. D. Hamilton. 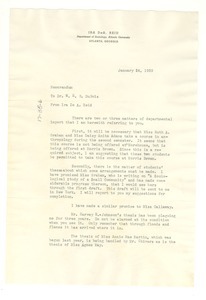 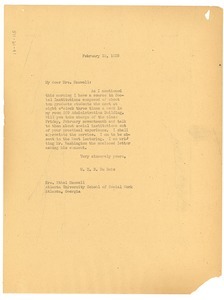 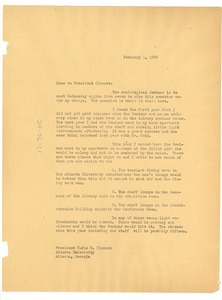 Atlanta (Ga.) - Rufus E. Clement tells Du Bois that arrangements have been made for the location of the Seminar in Sociology. 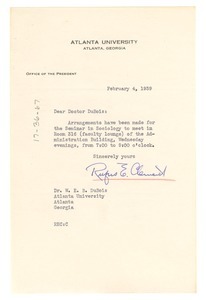 Atlanta (Ga.) - Du Bois asks Rufus E. Clement for a location for holding the Sociological Seminar and provides some suggestions.